Rip It® Energy Fuel is fueling the real needs and real tastes of energy drinkers everywhere! Rip It Energy Fuel has been thriving since 2004 and offers exceptional taste and flavor variety at a great value. 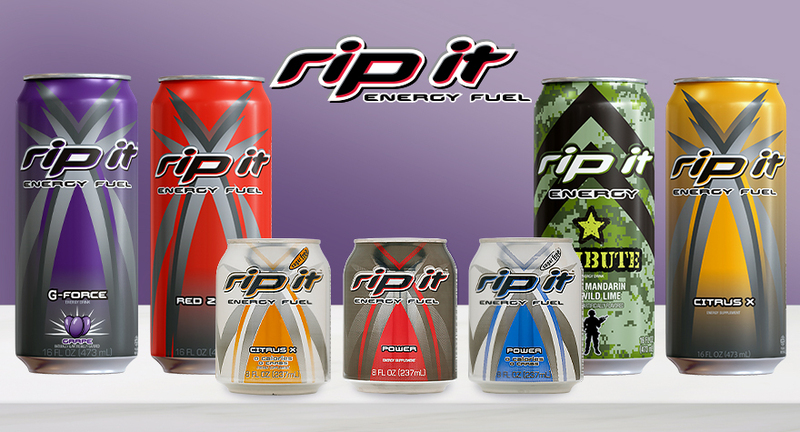 Rip It® Energy Fuel has a complete line of Regular and Sugar-Free flavors in 16 ounce cans and select Sugar-Free flavors available in 2 ounce shots. Rip It Energy Fuel has been served downrange in Iraq and Afghanistan since 2004 and proudly supports the United States Military.